The planning system controls what you can do with your property but is increasingly complicated, full of jargon and has many pitfalls for the unwary. Roy Speer and Michael Dade are planning consultants, writers and speakers, who help people who need to use or understand the planning system. 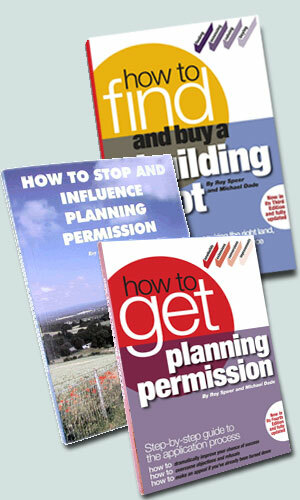 We carry out our planning consultation work in all parts of the country for individuals, groups and businesses. "We are stunned to have been granted the permission after everything that has happened; I think we were lucky to have had you on our side. Thank you for your persistence"
"Your professionalism, knowledge and assistance have been appreciated. Thank you"
"Thank you again for ensuring that we got a ‘yes’ at the first application – this definitely would not have happened without you – and for your persistence in pursuit of the council"
"Great result! Thank you for taking us through the process, and for all your work. Greatly appreciated how you kept us regularly posted on developments etc. Very happy to recommend you"
We are based at 29 Kings Drive, Hassocks, BN6 8DX | Copyright 2009-2013 speerdade.co.uk | All Rights Reserved. Speed Dade rated 10 out of 10 based on 17 client Reviews.